I have been working on a Big project since last year. The First Ever GEOCAC Coins and Benchmarks. The Benchmark will be one of 50 or more I hope to be placed in all 50 States and hopefully once announced other Countries as well. For the US I am working on Missouri and Kansas now and we have 1 Benchmark and I had to make an order of 6 more for the other States who have shown interest in getting this project along. This is the minimum I could order. I have a limited income and as you all can imagine these benchmarks are not cheap. The Benchmarks in the US that will be set will be in the NGS Data base so Geocaching has reached a Major Benchmark so to say. They will also hopefully be logable geocaches and I have another great plan there, to be announced later. I am working with the Professional Surveyors as well because they are the only one's who can Technically and Legally set the marks to NGS Standards and the cost of that is welllllllll...I got 2 of the 3 or 4 States to help out with that cost and am in contact with the others now. I have several Unactivated Trackable and 1 Special one of a Kind Real Gold Edition but will wait to announce that just a little while longer. But after all this announcement I want to know if I should offer you geocachers first chance at these geocoins or I hate to even ask go to the E place and set up a auction. All the proceeds will go towards this project. I prefer to offer them here first since after all it is about the Geocachers and their Benchmarks. (See it is not about the numbers but your benchmarks along the way). But thought I would ask before I make that big step. Thanks for your input,thoughts and help. Forgive me for being dense, or maybe it's just old and tired, but what is it exactly you're offering here? I'm confused between the benchmarks, the geocoins and the geocaches in different states that may actually be trackable benchmarks!! See? I'm totally messed up. 1. I am asking if I should sell the Benchmark Trackable Geocoins I have in here or on e-bay. 1.The South Pole BM coins. 4.NASA NOAA Aquarius BM coins. I only have 1 or 2 of the Lewis and Clark BM coins left. And of course a few of the ARK-MO-GEOCACHERS coin. It would not let me add the whole post so here is the rest of the story. And 1 Polished Real Gold GEOCAC coin. These will be announced very soon. (July 11, 2008). But I guess I have kinda let the cat out of the bag. 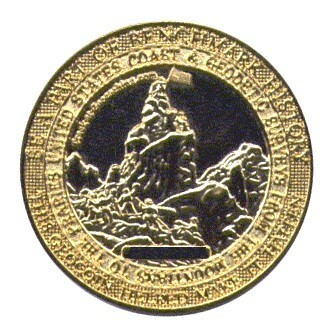 It says "Be a Part of Benchmark History This Geocoin Helped Make it Happen". The Benchmark itself will be set in cement just like a real benchmark and added to the NGS Data Base. I had to get permission from Groundspeak to use the logo. Now once the Benchmarks are set a geocache will be placed near or at each one(Thats the plan anyway). Like the Original Stash(Geocache) Plaque. My question was really should I offer the Gold BM coin and the others in the forum first before I did something else to try and get enough finances together to pay for the rest of the Benchmarks I have ordered. Obviously, I'd love to see them offered here first!!! Benchmark Forum link to ongoing project. That will save me a lot of typing. I will also link this post back to the Benchmark Forum. Offer them here first, please. Wow, I must have slept well last night 'coz that made total sense. Thank you for the baby steps and all the work to post the icons to all the coins. Personally I would imagine coiners would love a chance to get them directly from you without having to get into a bidding contest. Thanks for the choice. Well, are they trackable? Otherwise I would say try ebay since selling non trackables are not permitted. 1.5 South Pole BM coins. 3.5 Bilby Tower BM coins. 4.5 NASA NOAA Aquarius BM coins. 5.5 Golden Gate BM coins. 8.5 Washington Monument BM coins. For the above Trackable Benchmark geocoins $10.00 U.S. and Canada includes the shipping add 2.00 for International orders for shipping. For the above Trackable Benchmark geocoins $8.00 U.S. and Canada includes the shipping add 2.00 for International orders for shipping. I only have 2 of the Lewis and Clark BM coins left. These are not activated but have been the entire length of the Lewis and Clark Trail. They have been in the Footsteps of the Famous Explorers. I am not sure just which way to go with these as for a price for they truly are priceless to me. But all things will be considered. They are trackable coins and should be seen in 4 days. Drop me a line through my profile on what you would like and I will send an invoice....I think I can do that through paypal or you can also send paper and we can gettr done that way. I am not set up to do the credit card thing. Heck this is the first one's I have sold so be patient with me. If my figurin is right that should cover the next round of GEOCAC Benchmarks. I just found this link that I had written to several of you about. So here is that link. I need to clarify The GOLD on the GEOCAC coin I mentioned above. It is Real Gold Plated. It is also a sample and this one is not trackable.. It is 1MM thicker than the GEOCAC coins coming this weekend at C&P which are trackable. They are not gold plated. I just want to be clear on all things about this project and had a querry so I thought I had better clear it up,Thanks. GeoTrailblazers has published an article in The Online Geocacher that may help clarify the different projects... and their connection. Be the first in your state to have a real NGS Geocaching Benchmark and a Geocoin to celebrate this project! Just ordered two of the coins. This sounds like a really awesome idea. So is finding one of these new benchmarks going to be a new icon or still the same typical benchmark icon? Maybe I should put some more in here. The 1st thing one must do to get it listed with the NGS (Goal for all 50 States and Provinces). Contact the NGS State Geodetic Advisor for your State. Several states are already in the process of doing this. I have probably missed one or two and am in the process of writing up a document to save on so many e-mails. I should have it done soon. I really thank you all for the interest. 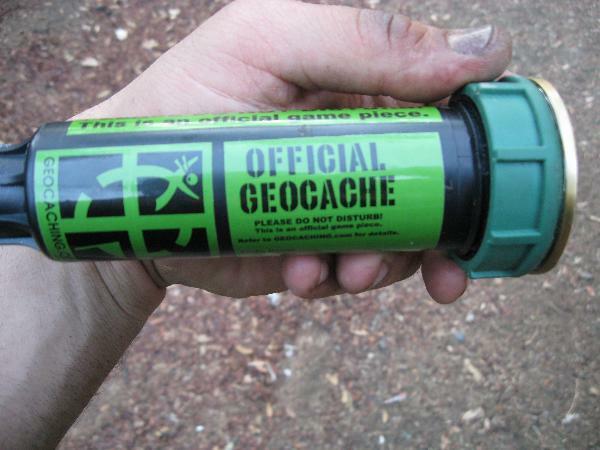 I believe most state advisors are aware of geocaching and maybe the benchmark but if not let them know about the project and see if they want to get involved with helping you get one set for the state you are in. They may also give you some others to get involved like the State or local surveyors. Now we have also had an inquiry of setting more than 1 in a state. And if other countries want to get involved then they too will not be in the NGS data base. I am still pondering the secondary or more settings and other countries but if a state or country is willing to pay for their benchmark(s) I at this point do not see a problem with that. But we would want to get the best coordinates we could for it. If in the USA it also could be added later if set correctly. Other countries have thier specific system as well but am unsure of the process' there. Old Game new way to play? To reach a Benchmark(s) in ones Geocaching? Got a pair of the coins. Hopefully we can get a disk set in NJ. The State link will help those still interested in contacting your specific states professional surveyors. If you have not, contact your NGS State Geodetic Advisor 1st. Look what came in on the UPS truck today. The 1st 6 GEOCAC Benchmarks. We have 6 and more states already lined up working on their projects. 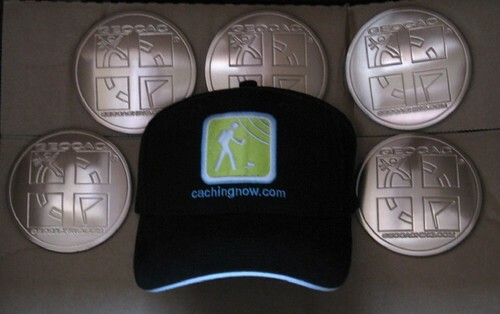 So be a part of geocaching benchmark history and thanks to those who have already helped. I have the details about 3/4 of the way written up so I will have something soon. Thanks again for helping us to make this happen. Thank you Berntsen I'll be Cachingnow for sure. I just ordered two of these, one for me and one for my father, whose a surveyor in Tucson, AZ. He's in the process of getting the benchmarks on Davi-Monthan AFB tied into the NGS grid, so he's already into the system. Maybe I can get him hooked on both caching and benchmarking when we visit next, and he can help with the project. Ulterior motives rule! 5.4 Golden Gate BM coins. UPDATED: I will just charge you the cost of the Shipping for International orders. For the ARK-MO Geocachers it is $8.00 plus shipping. UPDATE: I am now set up for cards. Does anyone know when the coins ship? I should know more soon on the GEOCAC Coins. Wow. That was incredible response time. Thanks. Just keep us posted. Can't wait to see this develop more. Thanks. Having a date in mind is comforting, even if it'll probably be delayed and changed. Coins&Pins have always been very prompt with me. I look forward to them real soon. Thank you all for the help and support for the GEOCAC Project. I am ready to buy mine... how do I do this? I was going to explain but it appears there is something not quite right. I can find the coins but the pre-sales does not come up. Projected End Date, 20 Jul 2008. I talked to C&P this AM and there will be another round if enough people are interested and there will be a few in the store before long. 4.4 NASA NOAA Aquarius BM coins. I only have 1 of the Lewis and Clark BM coins left. 1.4 South Pole BM coins. 3.4 Bilby Tower BM coins. 4.3 NASA NOAA Aquarius BM coins. 5.3 Golden Gate BM coins. 8.4 Washington Monument BM coins. The project is progressing well. 1.3 South Pole BM coins. 3.3 Bilby Tower BM coins. 4.2 NASA NOAA Aquarius BM coins. 5.2 Golden Gate BM coins. 8.3 Washington Monument BM coins. Still have a few of these. 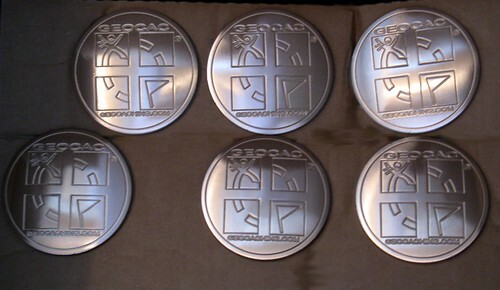 Just hought I would drop you a note and let you know that my GEOCAC Coins arrived today. This is such a great coin I may not release it to my fellow travelers. Will have to think about it for a bit. P.S. Any of theose coins left? The 1st round of the pre orders has just been delivered. I was told there were a few left that may go in to the store at coinsandpins. It would probably be after the coins are all shipped and all are delivered. I was also thinking we were going to do another pre sale soon as well as some more people might be interested after they see what they look like and we get a benchmark or 2 set. I will have to ask on that stay tuned. I agree they are AWESOME!! We have approved the place and some of the work has been done already. Our monthly meeting went well and we are set to set the GEOCAC Benchmark in 2-3 weeks. It will be set at the I-44 Visitors Center as you enter Missouri from the west side. It was thought that this would be the best place to get the most exposure. As it gets closer I will update you to details. 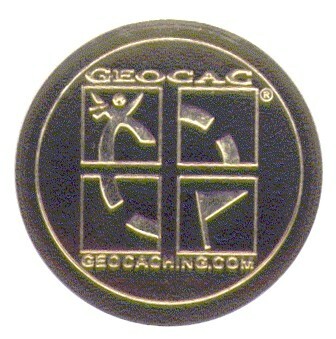 The GEOCAC Coins are once again available at coinsandpins. Got the First Geocac placed in California!!! I have been hopin to start this series and when I got my Geocac's it was time to start! Only been out there a couple weeks, but so far people seem to like it real well! Got a Center Micro and a Bilby marker in my Benchmark series as of now! ...More to come! Just thought you'd like to see that...Gotta do a little more research on these actual Geocac markers...Too cool I say! Thanks Geotrailblazer! Love dem Benchmarks! I got something like it in the works. Do not want to give it all away just yet though. Keep those great benchmarking ideas coming in. 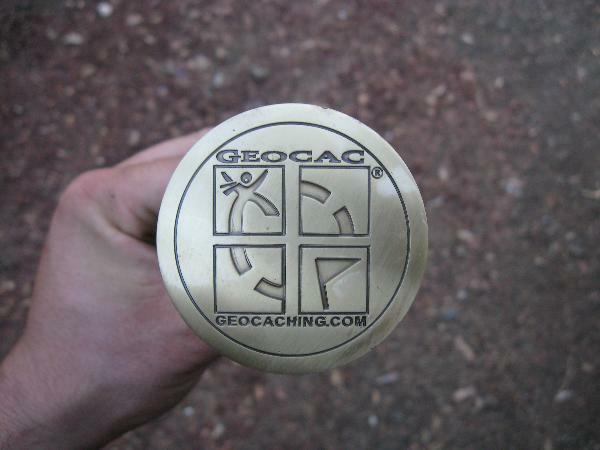 Have you ever tried a Triangulation based geocache?? Maybe we could do a new type EarthCache, Benchmarking the Earth.